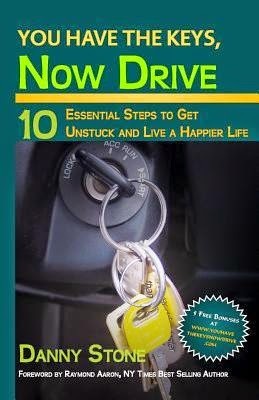 From Goodreads ~ Danny Stone, an experienced Life Coach, shows you how to take control of your life by providing you with a 10 step program to help you get unstuck and live a happier, more fulfilling life. Whether you are feeling stuck in your job, your relationship, want more financial success, or desire more happiness and fulfillment, this book will help you achieve what you want. How to replace negative self-talk with positive mantras. This book helps you take control of your life and get yourself out of the "mud". Regardless of how awesome you think your life is, we could all be happier. That's why I like reading books like this. I liked the writing style. I found it conversational ... it was as if the author was sitting and talking with me. I liked that he told stories from his own life ... such as growing up in a low-income neighbourhood in eastern Canada, the impact his grandmother had on him, moving to Toronto, etc. For me, it demonstrated his honesty and sincerity ... that he has written this book to share his experience and knowledge to help others, rather than just writing to make money. At the end of every chapter, there is a "Try It Out" ... an exercise to put into practice what the chapter had discussed. In the appendix, there are worksheets to support the chapters ... such as the Wheel of Life Worksheet, which let you know which area(s) of your life you need to focus on (career, money, health, family and friends, etc. ), the Life Decisions Worksheet, which helps you when you are struggling to make an important decision, and more. Click here to check out the first chapter.